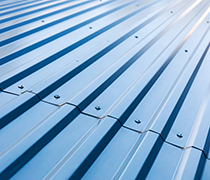 The new aluminum shingles from BMI are lightweight and designed with ease of installation in mind. Both shingles can be installed going left to right and right to left, which makes installation easier and much faster. Full line of trims are available. Buchner Mfg. has built its reputation on providing quality materials and service. Offered are 5″ and 6″ eavestrough/gutter coils. The 5″ coil is available in 36 colours with our polar white on the back side of the 2 side painted coil. A wide range of eavestrough/gutter accessories is manufactured which include downpipes/leaders, hanger brackets, outlets, endcaps, gutter protection, sealants and fasteners. The siding you choose will have the greatest impact on the exterior appearance. Buchner Mfg. manufactures their own aluminum V-190 siding panel and also distributes Mitten Vinyl Siding. Choose from a wide range of colours and designs which include accent panels such as Scallops, Shakes, Brick and Hand Cut Stone. Buchner Mfg. manufactures three profiles of Soffit: Quad, T3 and D5. The D5 panel is the heaviest and is ideal for long spans such as porches. They also manufacture three profiles of Fascia: Deluxe, Continental, and Traditional. Both Soffit and Fascia is available in a wide range of colours along with matching trims.